Barnacle is a small but a hardy saltwater animal belonging to Arthropoda phylum along with being put in the class Crustacea and the order Cirripedia. 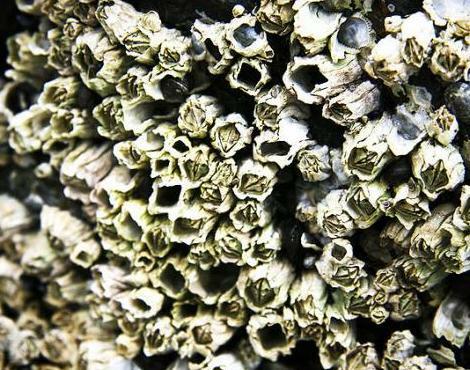 Barnacles are usually found attached to ships, rocks, wharves, marine animals and to other hard surfaces. Acorn barnacle, Brown Buckshot barnacle, Goose barnacle and Thatched barnacle are some common types of barnacle. 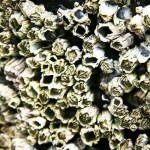 Barnacles are closely related to lobsters and crabs as they too have a hard outer cover. 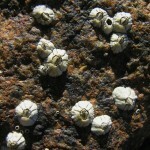 Barnacles have shells of connected overlapping plates along with jointed legs. 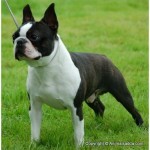 They possess a quite slender and wispy feet. 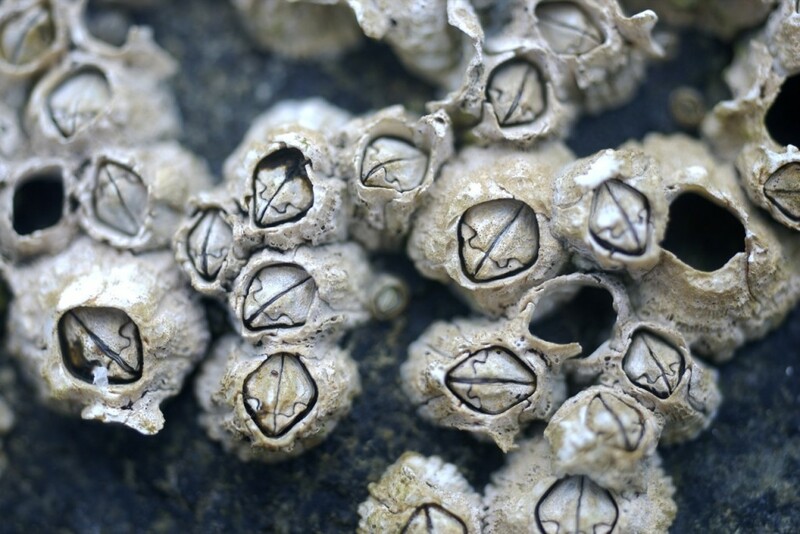 Barnacles are animals with distinct hard outer cover. Barnacles have a rather deceptive appearance. At first site it really looks like a mollusk. Their true appearance becomes visible only when you observe the larva of the barnacle. Plankton is obviously the favorite diet of barnacles. Barnacles usually love to feed on the food particles straining out of the water. Food particles proportional to their size are captured and eaten. 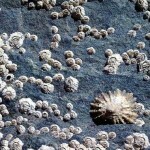 Normally, barnacles feed on phytoplankton and zooplankton, microscopic plants and animals in the water. 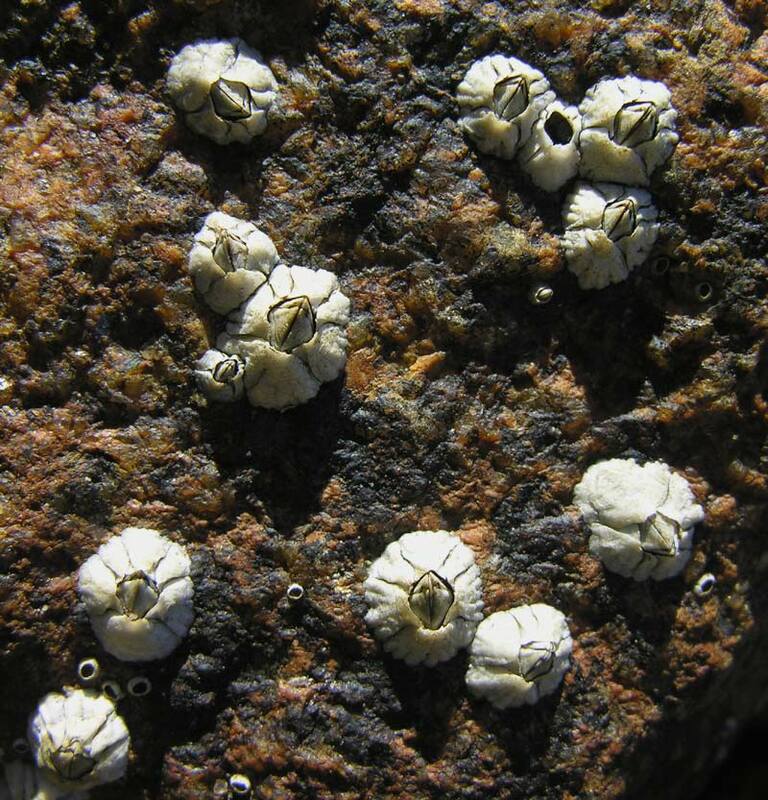 Barnacles can produce both male and female reproductive cells, sperm and eggs for which they are called hermaphrodite. 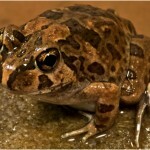 This characteristic makes them eligible to reproduce even without mating and self-fertilize their eggs. However, the eggs produced by one barnacle are usually fertilized by another barnacle. The Barnacle larvae usually take 6 months to grow into the hardier adult barnacles. Barnacles are subject to many predators. Usually barnacles face lots of risks and dangers during their early age. 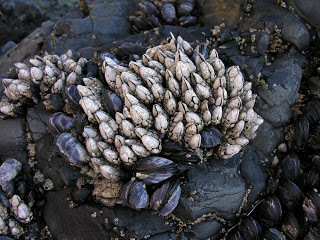 Worms, oil spills, shorebirds, snails, sea stars etc are the most common predators of Barnacles. 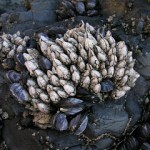 Even human beings are found to eat barnacles, especially the goose barnacles. 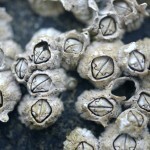 Barnacles have really simple life cycle and lifestyle. Barnacles reproduce sexually. The eggs produced by barnacles fertilize into nauplius larvae which gradually takes 6 months and more to develop into adult barnacles. Usually their life cycle completes in three stages: Nauplius, Cyprid and Adult Stage. In nauplius stage, fertilized eggs hatch into one- eyed larvae known as nauplius. Naulius are initially brooded by the parent and are finally released for free-swimming. In the Cyprid stage of their life circle, the barnacles explore potential surfaces and they attach themselves to it. 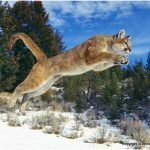 Finally, in the adult stage, they metamorphoses into harder creatures and settle down in a safe and productive environment. Well, barnacles are known to be one of the laziest creatures of this planet. 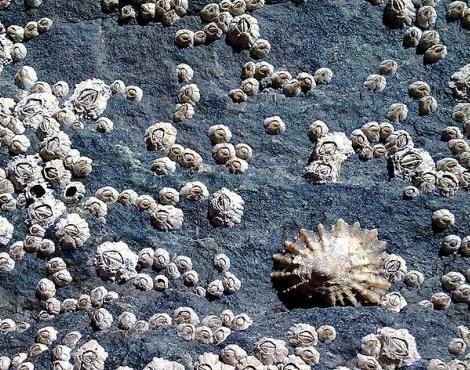 Barnacles don’t even move for the majority of their life span. 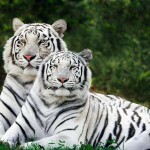 They just remain attached to rocks, ships, marine animals or some harder surface. Barnacles have a very deceptive appearance. So, at a glance you’ll surely identify them as molluscs. Another interesting fact about barnacles is that they stand on its head. Usually, barnacles are found in hard surfaces like boat hulls, rocks, jetty piles and even on the body of other marine animals like turtles and whales. All the barnacles have a common behavior of getting attached firmly to rocks, ships and other objects in the sea. In larvae stage, they disperse widely to colonize new surfaces and habitats. On the other hand, the behavior of adults limited. They mostly have emphasis on feeding actions, respiratory and feeding rhythms, protective withdrawal, and closure mating and brooding.